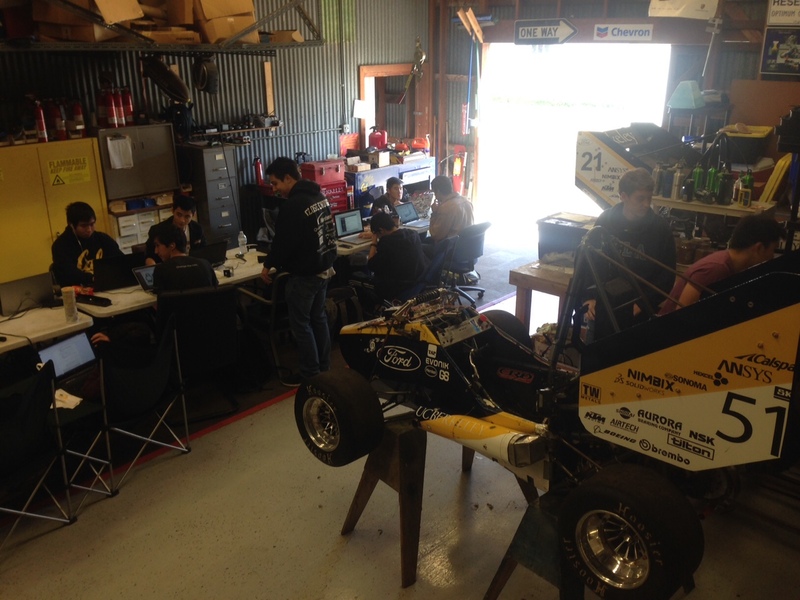 Back in June ’16, the Berkeley Formula Racing (BFR) team experienced failure of their aerodynamics system at the Formula SAE competition in Lincoln NE. This prompted a last-minute, on-site fix. As a result, the BFR team came to realize they needed to improve the tracking of their design decisions. 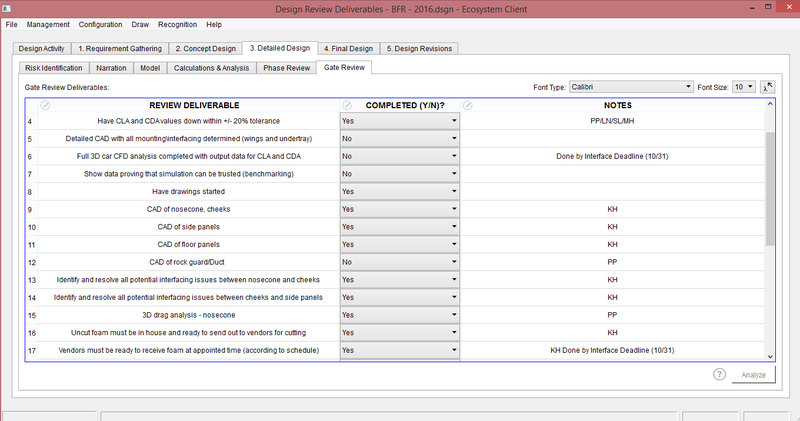 Design decisions from the Detailed Design review for the 2016 race car folded into the Ecosystem. Students of the BFR team working at the Richmond field station.